Guitarists often go to great lengths and expense in their quest for the ultimate guitar tone. Yet speakers all too often get overlooked. So long as they make a noise they are good right? 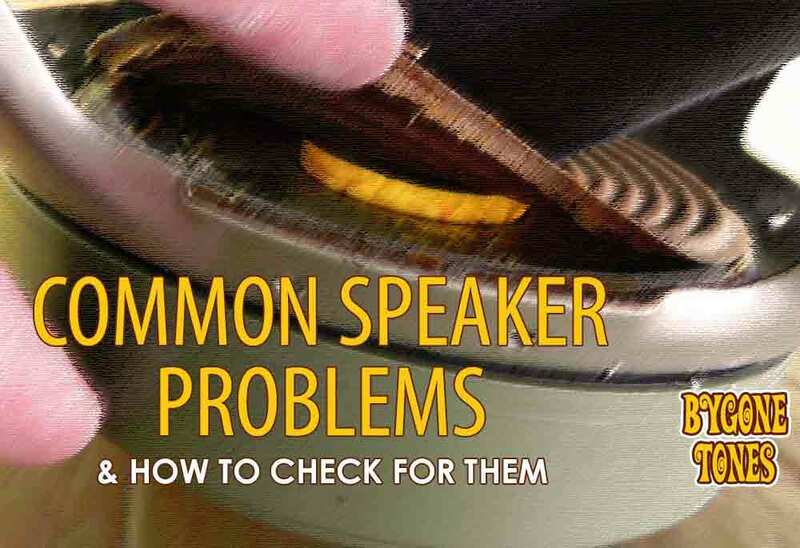 Actually, there are many potential problems a speaker can have, and all will have a negative impact on your tone. 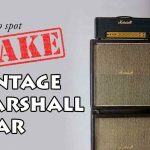 If you are using 40 to 50 year old vintage speakers then it is very likely they may not be performing upto standard anymore. To perfom all 5 tests should only take a couple of minutes per speaker and they are all super easy to do. 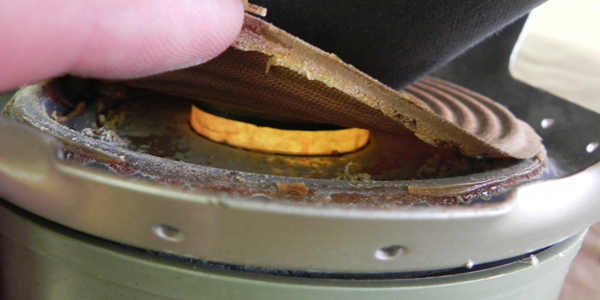 There are 3 important glued areas on a speaker; the spider support, the dust cap, and the outer edge of the cone. For a speaker to function properly, all of these areas need to be 100% fully glued down. To check the glue at the spider support, lightly brush your finger tip against the edge in an upwards motion to check it is still holding. Work all the way around the edge, bit by bit. It is always tempting to do this in a ‘half arsed’ way, so time yourself. To check it properly should take a full 60 seconds per speaker at a minimum. Be as thorough as you can. Use your ears as well as your eyes. Very small areas of failed glue may not be visibly obvious, but if the glue is not holding you will hear it as your finger brushes against it, as in the video above. 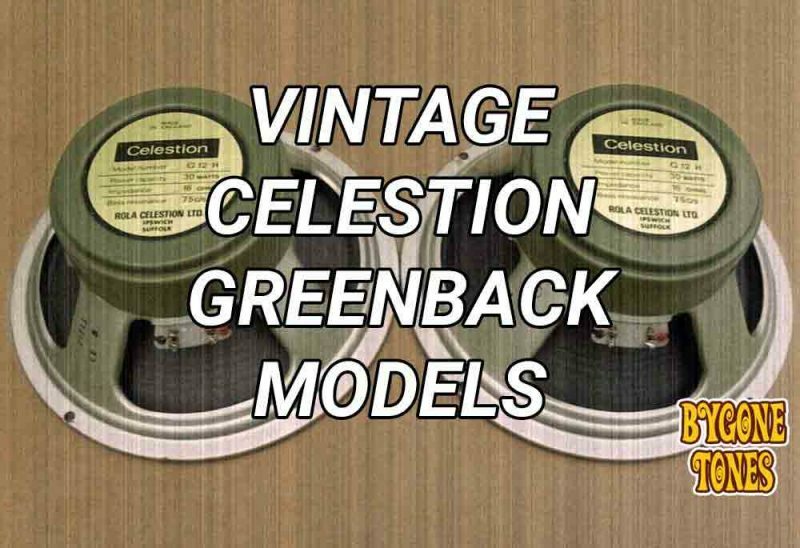 Failing glue at the spider support is probably the most common fault to find on old greenback speakers. Therefore it is very important to check, and is always the first thing I look for. Also watch out for sloppy amateur repairs. 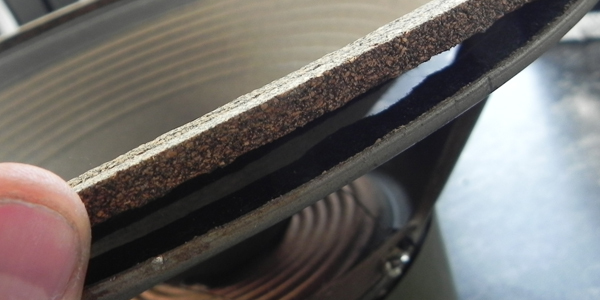 A bad repair done with super strong modern glue is often irreversible and the speaker could be ruined if the voice coil has not been re-aligned properly. Check the cone has not been torn off, or become unglued, at the outer edge. This happens more often than you might think. It is usually caused by someone pulling a stuck speaker from a cab with brute force. The gasket stays stuck but the cone rips away. Brush the edge of your thumb against the gasket in an upwards motion to make sure it is still holding all the way around. When removing speakers from cabs, always make sure they are completely free from the baffle before trying to lift them out. Use something thin like a feeler gauge to work underneath the gasket and free it. 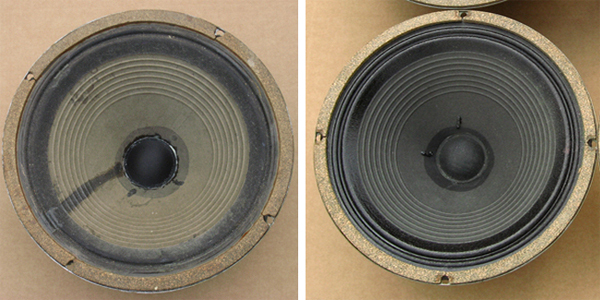 Gaps in the dustcap glue are fairly common and will cause the speaker to buzz. This is not usually a serious problem unless dirt has gotten inside the speaker. 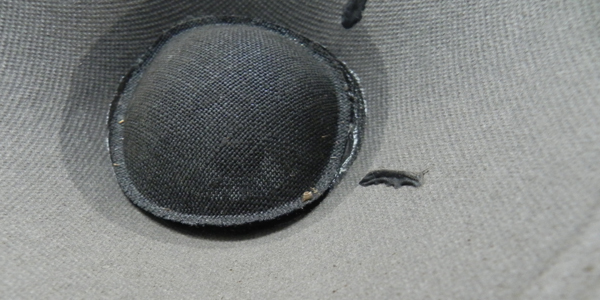 To repair a dustcap like this neatly, it is best to remove the whole thing and reglue it back on. The condition of the cone is important because it will have a direct impact on the quality of the tone it produces. The best sounding cones are usually the ones that are still near mint – firm to the touch and blue/grey in colour. Cones in poor condition that have gone very brown and soft, had severe repairs, or flood damaged, will usually sound the worst – if they are even fit for purpose at all. However, I do think it is important to let your ears have the deciding vote, some speakers can surprise you! There are many reasons why a speaker can have coil rub. 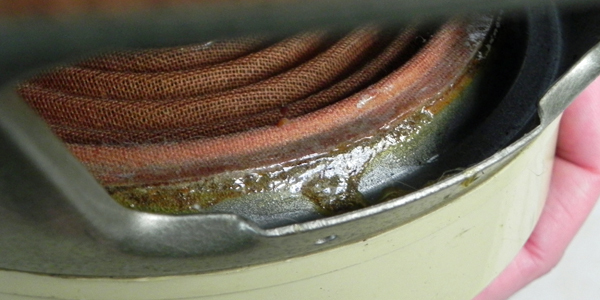 From a bit of dust in the coil gap to more serious problems such as a damaged voice coil or a shifted magnet. To check for coil rub you need complete silence, so find a quiet room and switch off any background noise. Then put the speaker on its back, preferably on something soft like a folded blanket then you don’t scratch the plastic cover when rotating it. The resting position of the cone is roughly the halfway point of its full movement. So it is important to test both the inward movement, and the outward movement. Press lightly down on the edge of the cone and then let go. Repeat this about 6 times so that you “pump” the cone in and out, slightly off its normal axis. Do not press hard, just use a light pressure. It should be a completely silent movement. Any scraping or clicking sounds are bad! You need to do this all around the front edge of the speaker cone. So turn the speaker an inch or two and repeat. Ideally, imagine the front of the cone cut into 8 sections like a pie, and perform the test in each section. Use the screw holes to guide you. 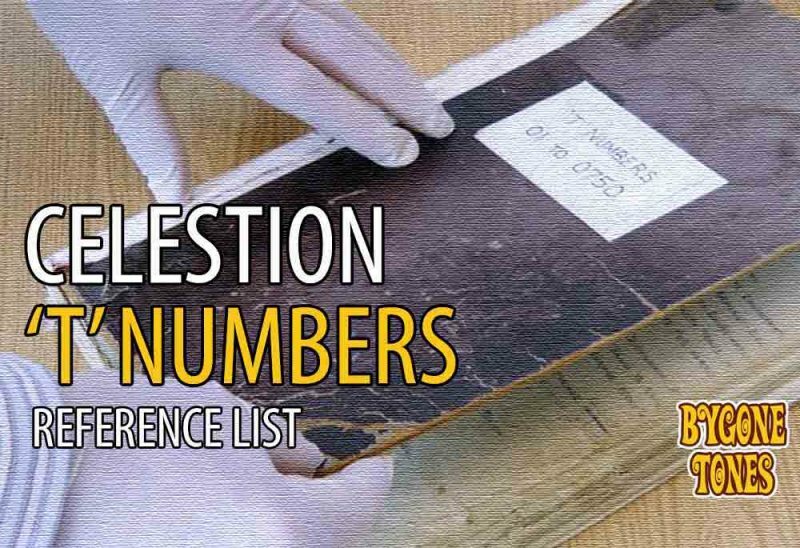 The more thorough you can be, the better. Do the same thing again for the outward movement. This is a bit more awkward because the chassis legs will be in the way, so you will only be able to do it at 4 locations. Place your finger tips under the chassis about mid-way up the cone, and press upwards using light finger pressure. Then turn the speaker and repeat until you have done it on all 4 sides. Again, this should be a silent movement. Testing with an audio generator is by far the best way to assess your speakers. If you do not own a sine wave audio generator, do not panic, there are various free apps around thesedays such as www.synalski.com tone generator that you can use instead. However, the one thing you will definitely need is a suitable amplifier. Something small, around 15 to 20w, that will not kill a greenback speaker. Ideally transistor (or ‘solid state’) then you can test a variety of speakers without worrying about impedance matching. It will also need a ‘line in’ or ‘aux in’ so that you can connect it to your audio generator. The amp I have been using for the last few years is an orange micro terror and it has been perfect. They sound great, take up very little space, and are cheap to buy. My audio generator is a ‘Tenma 72-455A’, but any audio generator should do the trick. 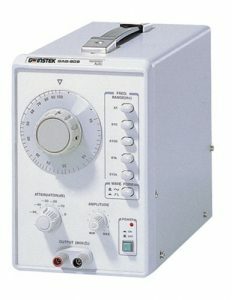 However, one thing to keep in mind when buying an audio generator is whether it has a good frequency display or not. 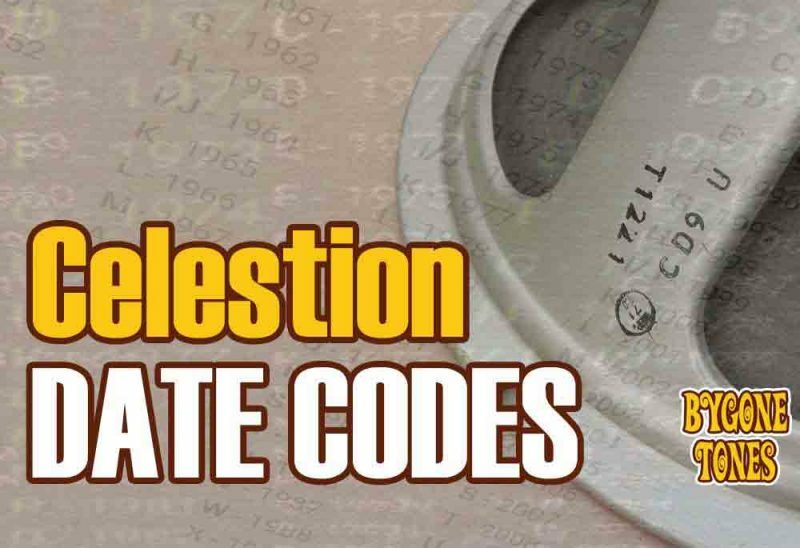 Some cheaper models do not have one, or only give a vague reading. If you want to match the notes on your guitar to the sound on your audio generator (see ‘testing for cone cry’ below), then you will need to know what frequency you are at. Connect up your testing rig to your speaker and power on. With the frequency dial on the lowest setting (10Hz on mine) turn the volume up nice and high. Most speaker problems do not reveal themselves at low volume, so give it plenty of power. At 10Hz the cone will start bobbing up and down through it’s full movement. You will learn a lot about your speaker just by running it at 10Hz like this. You should only be able to hear a slight purring noise of the cone moving through the air. Any rubbing, scraping, rattling, or clicking noises are bad! Next, slowly turn the dial up through to 100Hz and listen out for rattling, buzzing and distorted overtones. A speaker without any issues, and that is nicely broken in, should sound nice and smooth as you move up through the frequencies. A low frequency sweep test like this will weed out 99% of speaker faults in my experience. 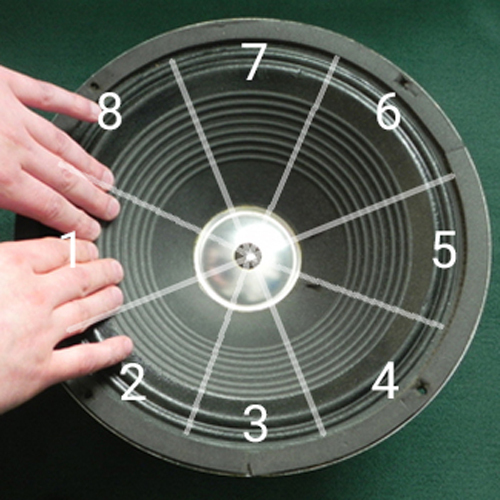 However, if you want to check for cone cry you might want to sweep test the whole frequency range of the speaker. Personally I prefer to check for cone cry with guitar and amp (see next step below), because anything above 100Hz on an audio generator can be very painful on the ears unless it is done at low volume. Cone cry can be described as an additional ghost note or an unwanted harmonic. Usually heard whilst bending notes on the guitar. 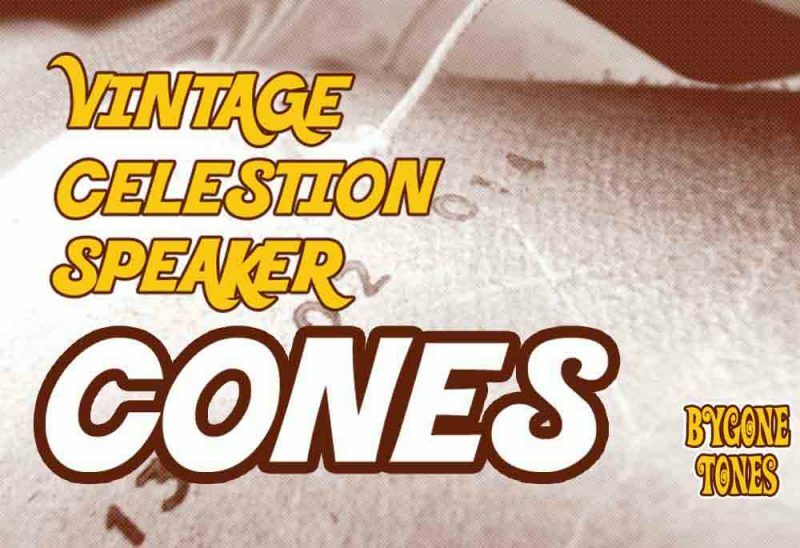 Pretty much all vintage speakers will have a small amount of cone cry somewhere when tested with an audio generator. Unless the issue is particularly bad it is not something I would worry too much about. 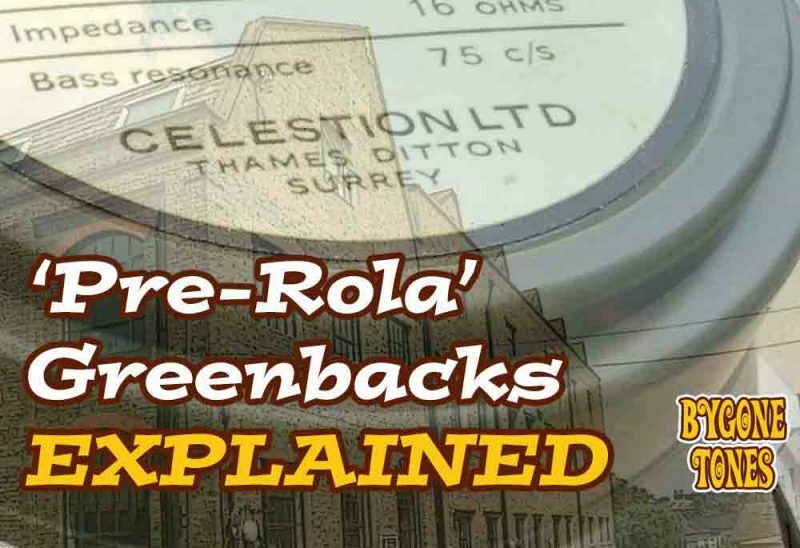 However, if you do find any very troublesome frequencies or severe cone cry, then it is always worth trying to replicate that frequency with your guitar just to see how noticable the issue is ‘in the real world’. Lastly, the fun part. With the single speaker still lying on its back, connect your guitar and amp (obviously do not exceed the power rating of the speaker), power up and have a jam! Get loud! As I mentioned earlier, most speaker problems will not reveal themselves at low volume, and in my opinion speakers only show their true tonal characteristics when they are made to work hard. Find the sweet spot. My rule of thumb is that if you cannot visibly see the cone moving up and down whilst you are playing then you are probably not playing loud enough. Get it really pumping! When jamming try to utilise the whole fretboard. Play some power chords and palm muted ‘chugs’ to check the lower frequencies. Check the mid frequencies with some double string bends around the 8th to 12th fret, and check for cone cry in the higher frequencies with some single string bends high up on the fretboard. Just generally have a bit of fun and listen to what your ears are telling you. Some speakers will disappoint you and some speakers may surprise you. That is all part of the fun of vintage gear. Keep experimenting until you find the gems.